If I could ask you, “When it comes to coaching, what’s the number one job of the coach?” What would you say? Would your answer be strategy? Or, skill development? What about fitness? Don’t forget culture and leadership. Clearly, there are many important components to consider when discussing the role of the coach. However, if you had asked me that same question when I was an athlete and then years later as a young coach, there’s no doubt in my mind that I would have told you that motivation is the number one job. Why? Because it’s what I knew. It’s what I had been taught. And, honestly, it was the part of coaching that I loved the most! Throughout my athletic journey, I had some coaches that were masters of motivation. Many of them found success because of their ability to create a reason—a really good reason—for us to train and compete. And, It worked. It worked for me, and many others. Besides, if you think about some of the classic sports movies of our time, the same holds true. 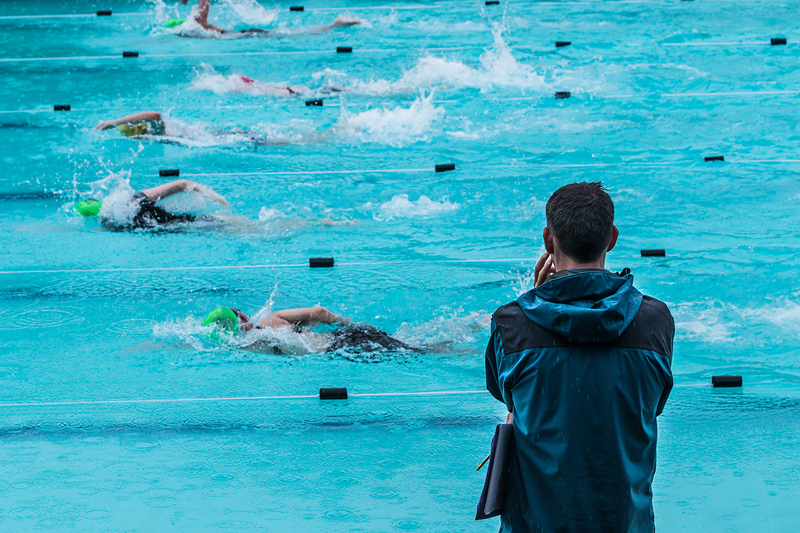 The role of the coach is often portrayed as the catalyst behind athlete motivation. These Hollywood coaches share inspiring stories, ask tough questions, and sometimes even get in the face of their Hollywood athletes at just the right moment in the hopes of stirring emotions. And, it’s good, too, isn’t it? Think of some of your favourite movie scenes. Whether it’s “eating lightning and crapping thunder” in Rocky, or being on a team that “fights for that inch” in Any Given Sunday, those scenes make for compelling drama. And, more often than not, it’s the coach that’s behind that drama. So, for me, the question begs, what if this commonly accepted and often celebrated role of the coach is a misnomer? What if an athlete relying on their coach for motivation actually interferes with their ability to perform at their best? If that’s true, and science tells us that it actually is, then maybe we need to a rethink how we encourage our athletes—how we motivate them—to reach for their potential. Here, we have an athlete whose motivation is the result of an actively engaged coach. I think most of us can relate to this scenario. The coach, in this instance, uses rewards or deterrents to help create the “reason” for the athlete to feel motivated. Rewards might be positive verbal affirmations, reduced training, prizes—anything that denotes outstanding effort or skill has been duly recognized. A deterrent, on the other hand, is something a coach utilizes in the hopes of inspiring a change in effort, attitude or any number of factors they may want fixed. It can be verbal and/or physical. For example, some coaches will direct degrading or shaming comments toward an athlete when that coach isn’t happy with the athlete in question. As I’ve shared before, shame is a very powerful motivator—but, it’s emotionally expensive. Sometimes coaches will utilize grueling workouts as a punishment when a performance doesn’t match the coaches expectations. The thinking here is, if the athlete finds the punishment unpleasant enough, they’ll think twice about what earned them that punishment in the first place. Although all of these strategies can and do work—they’re limited. In this scenario, the coach is not the main source of motivation. Instead, we describe them as the facilitator, not the motivator. Hence the reason “coach” is in lowercase. Yes, the coach still chooses important moments to share a story or insight when need be, but it’s done with kid-gloves and we encourage those moments to be few and far between. Essentially, in this relationship, the coach limits their responsibility for providing the athlete’s reason(s) to train or compete. A subtle difference, perhaps, but the long-term implications are enormous. What you end up with is an athlete who inspires their own motivation, and by doing so builds a more powerful and sustainable source—because the motivation comes from the athlete, not the coach. As a young athlete, myself, I remember one particular coach whose reaffirming, but infrequent, comments caused a surge of pride in me when he publicly acknowledged something I had done to his liking. Not surprisingly, it felt good. And, it was motivating. However, more often than not, it was his wrath that I secretly strived to avoid. Although the fear of his punishment drove me to some notable accomplishments, in the end, that fear was a distraction. Why? It created an emotional state inside of my body which ultimately undermined me ever reaching my potential. Let’s face it, providing motivation means, as coaches, we’re a part of the action. And, truth-be-told, our ego loves the acknowledgment of being responsible for a team that appears motivated to perform. However, what we hear from coaches in our workshops is that not only is “facilitating” motivation counter to what they believe but, as I shared earlier, motivating athletes is, well, more fun! We believe this question stems from most of us believing coaching is an action verb. Which means when we’re coaching we’re supposed to be doing something to our athletes—something active. Well, sometimes coaching means not coaching… actively. “Less is more,” is our prescribed mantra in this case. Allow coaching time to be a non-active verb; where coaches spend time just being. Watching. Listening. Observing. And, most importantly with regard to motivation—allowing. This is often what is referred to as the art of coaching. Knowing how, when and where to engage with your athletes. It’s like taking care of a plant. It’s not enough to just know that a plant needs watering. You have to know how much and how often. Otherwise, you might impede its growth. The same is true for athletes, it’s not enough to just know they need motivating. You have to know how much and how often. Otherwise, you could inhibit their development. “But, what will people think if we’re just watching?” asks another coach. Ah—the truth is revealed! Yup, coaches want to be seen as coaching. Trouble is, that action-verb interpretation isn’t always what’s best. The shift that we believe has to happen for a coach to embrace the notion of coaching being a non-action verb, is for the coach to realize that coaching is not about them. Coaching is about the athlete, period. When that penny drops, a coach can more easily explore the subtle nuance of truly effective coaching. Knowing when it’s time for action, and knowing when it’s time to wait and observe. If you’re interested in learning more about our High PerformanceJourney workshop, please take a moment to explore our website. Thanks!